Creating a Desert and Calling it "Peace"
Among deluded policies that enjoy the status of accepted wisdom, few have had the staying power of the American foreign policy establishment's slant on the Arab-Israeli conflict. The mantras on the path to Middle East peace routinely emanating from the State Department, its foreign service alumni, and private organizations, as well as government figures that tend to follow the lead of State, bear little relation to reality. A recent addition to the literature in this vein is Negotiating Arab-Israeli Peace, authored by Daniel C. Kurtzer and Scott B. Lasensky - the former himself, of course, a foreign service alumnus and seemingly the main shaper of the volume. Kurtzer is also a chief foreign policy adviser to Barack Obama. The authors were assisted by other members of what is identified as "the United States Institute of Peace's Study Group on Arab-Israeli Peacemaking." The Study Group solicited input as well from more than a hundred interviewees, both American and Middle East nationals, with many of the Americans having State Department backgrounds. The breathtaking muddy-mindedness of the volume's assertions regarding the conflict provides yet more grist for the foreign policy establishment's critics. It also provides more grounds for concern, particularly as Kurtzer and Lasensky's warped perspective on the path to "peace" and "security" is not offered simply as an academic exercise, nor even as a prediction of how Israeli-Arab relations will likely unfold. Rather, it is presented as a blueprint for definitive positions that the U.S. ought to adopt and, in effect, impose on Israel. The authors assert, for example, "Washington needs to formalize and add permanence to U.S. positions on the core endgame issues of Jerusalem, refugees, security, and territory..."
Even more worrisome, Kurtzer is apparently slated to move beyond his advisory role into a senior appointment should Obama become president. It is not that the wrongheaded claims in Kurtzer and Lasensky's book are new. On the contrary, all have been heard and seen many times before. What is special is the sheer number of them collected in one place, distilled down to their irrational essence, and presented as reflecting the collective wisdom not only of the authors but of several dozen prominent "experts." The major premise of the book is that Arab-Israeli peace has not been achieved largely because of American diplomatic fumbling. The book's focus is on pointing out supposed American missteps and recommending fixes for the perceived problems of American efforts. The authors declare, "Opportunities were squandered, potential breakthroughs missed, and meaningful advances stalled unnecessarily." Among the explicitly stated assumptions on which they base their argument is the belief that U.S. diplomacy must focus on the Arab-Israeli conflict because it stands in the way of America building alliances with Middle East nations around other issues. Additional unsupported claims are that there is currently a broader regional acceptance of Israel, making resolution of the conflict more achievable; that the majority of Palestinians endorse a two-state solution; that addressing the conflict will boost Arab moderates vis-a-vis extremists (with Saudi Arabia cited as an example of this); and that Israel's giving up the Golan to Syria, dismantling the settlements and returning essentially to its pre-1967 armistice lines would not directly affect the nation's security and so the U.S. should push for such Israeli moves. But none of the authors' key premises and formulations stands up to even minimal scrutiny. Does the Arab-Israeli conflict and support for Israel interfere with America building alliances with Middle East nations around other issues? To the contrary, if, for example, Saudi Arabia and the Gulf states feel threatened by Iran and see gain in allying with the United States to address the threat, they are hardly going to be deterred from doing so by American support for the Jewish state and the fact that Israeli-Palestinian peace has not been achieved. For Arab leaders, their own interests have always trumped concerns about the Palestinians. No doubt the authors heard from many of their Arab interviewees, and those among their American contributors who support Arab positions, that the ongoing Palestinian-Israeli conflict is an obstacle to closer cooperation. But it has always been a tack of Arab leaders to deflect pressures from the U.S. on their own policies by insisting that until America pressures Israel into meeting Palestinian demands it will remain impossible for them to cooperate fully with the U.S. The authors imply that, in fact, public opinion does impede Arab leaders from drawing closer to the U.S., and that assuaging this hostility by brokering a settlement would serve American interests. They fault past administrations for not paying more attention to the role of domestic opinion in shaping Arab policies. For example, "The Bush 43 administration... tend[ed] to turn a blind eye toward domestic constraints on the Arab side." But anti-U.S. opinion in countries such as Saudi Arabia and Egypt stems in no small measure from America's support for those governments, not simply from American support for Israel. In addition, rabid anti-Israel sentiment is something which Arab governments - both American "allies" and enemies - stoke, not least to distract their populations from domestic ills. Anti-Israel vitriol and anti-Semitic canards are a staple of the media, mosques and schools in virtually every Arab country. This is true even in states with which Israel is formally at peace. There is no reason to believe that regimes which find promotion of anti-Israel and anti-Jewish rhetoric so useful are prepared to give it up, even in the context of a "peace" agreement. The authors indirectly acknowledge this when they declare that a settlement would deprive such regimes of their ability to "exploit" the issue. But, of course, there is no way to stop their exploiting the issue. Even if an agreement were reached between Israel and a Palestinian government, those regimes that find demonization of Israel and the Jews useful would simply condemn Israel's Palestinian partners for betraying the Arab or Muslim cause and continue their anti-Israel propaganda as before. But, Kurtzer and Lasensky assure their readers, there is currently a "broader regional acceptance of Israel." They reference Saudi Arabia's 2002 plan regarding the conflict, and its endorsement by other Arab states, as evidence of this. One would think that Saudi Arabia's continued purveying of media, educational and religious materials calling for the mass murder of Jews and annihilation of Israel would give the authors some pause in their bald declaration of Saudi "acceptance" of the Jewish state. Most observers attribute the 2002 Saudi move as prompted by a wish to counter anti-Saudi opinion in the U.S. in the wake of the 9/11 attacks and Saudis accounting for 15 of the 19 perpetrators. In any case, the Saudi initiative insists on Israeli withdrawal to the 1967 lines and acquiescence to other Palestinian demands as a prelude to Arab states offering a vaguely defined "recognition." The Saudis need not worry; there is no evidence that any amount of Israeli acquiescence to the various demands put forth by the Palestinians would lead the latter to agree to genuine peace. On the contrary, all Palestinian parties, including Mahmoud Abbas's Fatah and its main rival, Hamas, use their media, mosques and schools to indoctrinate their populations in the belief that the Jews have no legitimate claim to any part of "Palestine," that they are satanic usurpers, and that they and their state must be destroyed. The authors' claim that, "Public opinion polls in... the Palestinian territories continue to show majority support for a two-state solution that ends the conflict." But this assertion is as divorced from reality as most of their other formulations regarding the conflict. There has, for example, never been a poll of Palestinian opinion in which even 20% of those questioned were prepared to give up the "right of return," the demand that all those who left pre-1967 Israel during the 1947-48 war, together with their descendants, be admitted to the state. If those polled say they would accept a two-state solution, it is clearly only under the condition that both states will be Arab. The authors never even mention the "right of return" issue. The absence of any serious consideration of Palestinian aims is likewise characteristic of the authors' discussion of the Oslo years. Oslo is depicted essentially as a very promising step towards genuine peace but one the Clinton administration did not effectively exploit. (E.g. : "Clinton invested heavily in Arab-Israeli peacemaking... But his policies contributed to significant diplomatic failures, and the policy process was often dysfunctional...") The authors make a passing reference to "incitement" by Arafat and the Palestinian Authority but never question whether the Palestinian leadership was actually interested in peace. There is much to suggest it was not, including a broadcast by Arafat on the very night of the famous handshake on the White House lawn at the signing of the first Oslo agreements, in September, 1993. Speaking from Washington on Jordanian television, Arafat informed Palestinians that they should understand Oslo in terms of the Palestinian Liberation Organization (PLO)'s 1974 program. This was a reference to the so-called "plan of phases," according to which the PLO would seek to acquire whatever territory it could gain by negotiation and use that territory as a base for pursuing Israel's annihilation. Arafat referred to the "plan of phases" at least a dozen times within a month of signing the initial Oslo accords, and this "explanation" of Oslo became standard fare for him and his lieutenants. Arafat and those around him also routinely compared Oslo to the Treaty of Hudaibiya, which Mohammed had signed in 628 and abandoned when his forces grew strong enough to overwhelm his adversaries. Anti-Israel and anti-Jewish incitement likewise became staples of PA media, mosques and schools. If the authors make only passing reference to incitement by Arafat and his PA, they ignore entirely their involvement in anti-Israel terror. Shlomo Ben-Ami was an ardent Oslo enthusiast. When Arafat launched his terror war, after the July, 2000 Camp David negotiations, Ben-Ami, then Israel's foreign minister, still hoped for an agreement and led the effort to achieve an accord via additional Israeli concessions. Some months later, even Ben-Ami acknowledged that Arafat was only pretending to endorse a two-state solution but, in fact, still "doesn't accept Israel's legitimacy." 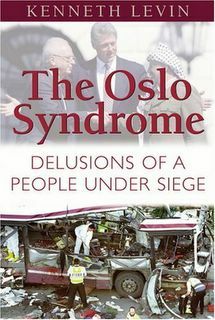 Ben-Ami subsequently elaborated on his new insight: "For Arafat, Oslo was a sort of huge camouflage act behind which he was exercising political pressure and terror in varying proportion in order to undermine the very idea of two states for two peoples." But no such insight is exhibited by the authors of Negotiating Arab-Israeli Peace. They do not even admit the possibility of one side not being interested in peace. To the degree that they acknowledge Palestinian policies inimical to peace, Kurtzer and Lasensky, ever clinging to their thesis that all would be well were American diplomacy properly deployed and that this must involve more pressure on Israel, entangle themselves in knotty and dangerous self-contradictions. For example, at one point they assert that the Clinton Administration was "too soft on Arafat and the Palestinian leadership when it came to incitement..." In fact, when Benjamin Netanyahu became prime minister, in May, 1996, he insisted on "reciprocity," which would entail no more Israeli concessions, territorial or otherwise, until the Palestinians adhered to the commitments they had already made, particularly regarding ending incitement and terror; and the U.S. formally accepted Netanyahu's principle of "reciprocity." But Kurtzer and Lasensky elsewhere laud Clinton for pressuring Netanyahu - at the October, 1998, Wye summit - into making additional concessions despite the PA's failure to desist from either incitement or terror, and they fault the President for not sustaining his "activist approach" at Wye. Just as the authors refuse to address the Palestinian leadership's objectives because to do so would undermine their basic thesis, so too they fail to consider seriously challenges to Israel's security and the question of defensible borders for Israel. They make bald and nonsensical assertions to the effect that settlements are purely discretionary for Israel and bear no relation to Israeli security, that in fact settlements weaken Israel's security. They imply Israel could return essentially to its pre-1967 armistice lines without incurring any serious security risk. They do not try to defend these claims but rather present them as obvious truths. They then suggest that a president should be "willing to push back" against Israel on matters "that do not directly relate to security" - which means to the authors, of course, the U.S. should pressure the Jewish state to dismantle the settlements and withdraw to the pre-1967 lines, since this would entail, in their view, no security risk. Compare such assertions to the stance of the authors of UN Security Council Resolution 242, which remains the starting point for all Israeli-Arab negotiations. Resolution 242, passed in the fall of 1967, declared that Israel should return captured land and withdraw to "secure and recognized" boundaries in exchange for peace, but it did not call for Israel to cede all the captured territory. On the contrary, the authors of Resolution 242 stated explicitly that they believed Israel should not retreat to its former lines. Lord Caradon, Britain's ambassador to the United Nations at the time and the person who introduced the resolution in the Security Council, observed some years later: "It would have been wrong to demand that Israel return to its positions of June 4, 1967, because those positions were undesirable and artificial. After all, they were just the places where the soldiers of each side happened to be on the day the fighting stopped in 1948. They were just armistice lines. That's why we didn't demand that the Israelis return to them, and I think we were right not to..."
The American ambassador to the UN at the time concurred, noting that "Israel's prior frontiers had proved to be notably insecure." And President Lyndon Johnson, shortly after the war, declared that Israel's return to its former lines would be "not a prescription for peace but for renewed hostilities." Johnson advocated new "recognized boundaries " that would provide "security against terror, destruction, and war." A number of subsequent presidents have reiterated Johnson's position on borders and several have done so in even stronger terms regarding Israel's need to retain some of the areas captured in 1967. Also in the wake of the war, a memorandum written by the U.S. Joint Chiefs of Staff stated: "From a strictly military point of view, Israel would require the retention of some Arab territory to provide militarily defensible borders." Israel's left-of-center Labor party, which governed for the first decade after the 1967 war and has been a partner in most subsequent governments, adopted a policy of seeking to retain key strategic regions, most of them sparsely populated - such as the Jordan Valley, the heights overlooking the valley, some strategic heights dominating the coastal plain that is home to the bulk of Israel's population, and areas around Jerusalem crucial to the defense of the city - while ceding the rest to Arab sovereignty, including those regions where the vast majority of Palestinian Arabs lives. To reinforce Israel's claim to areas Labor sought to retain, the government pursued a policy of establishing "facts on the ground," the so-called "settlement" communities, in those areas. The strategic challenges facing Israel have not diminished since 1967, and the geography and topography of the region have not changed. What was true then concerning the need for defensible borders, and the dimensions of those borders, is no less true today. Nor, for example, did Yitzhak Rabin think otherwise when he initiated the Oslo process and endorsed the creation of a politically separate Palestinian entity alongside Israel. Rabin, in his last Knesset appearance prior to his assassination, stated, "We will not return to the lines of June 4, 1967 - the security border defending the State of Israel will be in the Jordan Valley, in the widest sense of that concept." The vast majority of "settlers" live in areas that are strategically vital for Israel to retain. That they live there, that facts were established on the ground, does make it more difficult for those who are hostile to or cavalier about Israel's security to push Israeli retreat to the 1948 armistice lines, and in this regard the "settlements" very much do contribute to Israel's security. Kurtzer and Lasensky just as irresponsibly ignore Israel's basic strategic verities in their dealing with the Golan Heights as in their assertions about the West Bank. The authors declare that a Golan agreement ought to follow the model of disposition of the Sinai in the Israeli-Egyptian peace accord. But strategically the situations have few similarities. Sinai is a demilitarized hundred-mile wide buffer zone, almost entirely desert, with a mountainous spine and restricted areas of passage between east and west. Egyptian build-up for a ground assault across the desert would give Israel much warning of an attack, and the topography allows for a robust Israeli response. In addition, an American-led force guarding key mountain passes adds another layer of protection and has been able to operate essentially unharassed for more than three decades. The Golan is a much smaller area and an elevated plateau that entirely dominates northern Israel. Syrian forces would need to withdraw far beyond Damascus for an agreement to match the demilitarization and provide the warning time Israel has in the Sinai; something to which no Syrian government would agree. In addition, any international force on the Golan would be much more vulnerable both to harassment and to being overrun in Arab-initiated hostilities than is the American-led force in Sinai. Just how cavalier Kurtzer and Lasensky are about Israel's security is indicated not only by their failing to offer any serious discussion of the strategic challenges the country faces and what is required to address them but also by their suggestion that U.S. assurances of support ought to render Israel more willing to take risks for peace. One reality of Israel's strategic situation is that, no matter how sincere America might be in its commitment to Israel's security, the Jewish state's strategic predicament is such that any assault by its neighbors which it is unable to fend off by itself would destroy the nation long before American power could be brought to bear. But not only are American "guarantees" to a weakened Israel impractical; they would not even be offered for very long. The more vulnerable Israel is rendered by territorial and related strategic concessions in the pursuit of peace, the more its strategic alliance with the U.S. is likely to unravel. This is because the U.S., however much its people may sympathize with the Jewish state, will not want to be in a position of coming to the aid of a vulnerable and failing Israel - to have to fight Arab and perhaps other Muslim nations, potentially including "allies," and to do so under conditions in which the objective of the confrontation is lost and the U.S. will then be seen as having been bested. Americans sympathized with Israel from 1948 to 1967 but the U.S. only embraced Israel as a strategic ally after the 1967 war, when the Jewish state had proved its capacity to defend itself. Israel stripping itself of that capacity will render it a strategic liability to the United States and so will also inevitably entail losing its alliance with America. Rather than pushing Israel to take "risks" for "peace," risks that might prove fatal, the more promising model for Arab-Israeli negotiations would be American-Soviet negotiations during the Cold War. Agreements then were premised on decreasing risks, not increasing them. Missile accords were aimed at reducing inventories and at implementing intrusive inspections to verify compliance. Decreased Israeli presence in populated Palestinian areas need not necessarily be coupled with a regime of intrusive inspections to address potential Palestinian acquisition of rockets and other weapons aimed at targeting Israeli population centers. But it ought at a minimum be coupled with Israel's preservation of defensive lines from which it could mount robust responses to violations of accords, with those accords entailing provisions explicitly granting Israel rights to such intervention. As a Palestinian leadership emerges - unlike any current Palestinian leaders - that demonstrates a genuine desire for co-existence and builds up civil institutions necessary to construct and sustain a Palestinian society at peace, Israel could gradually withdraw its defensive lines back to permanent positions. Those positions should entail both separation from the vast majority of Palestinian Arabs and retention for Israel of defensible borders. But, again, serious assessment of Israel's strategic needs and of the path to a genuine, enforceable peace do not figure in Kurtzer and Lasensky's arguments. Their arguments are focused rather on active American diplomacy pushing for a false peace through pressuring Israel into dangerous concessions in order to appease Israel's hostile neighbors. One can anticipate - in an Obama administration with Kurtzer holding a senior foreign policy position - Israelis either forced to comply or sanctioned for not doing so, and then a level of unprecedented violence with Israel's very survival at risk. No one concerned about Israel's well-being should underestimate the threat represented by Kurtzer and Lasensky's mind-set and that of their like-thinking contributors to Negotiating Arab-Israeli Peace.